I like handheld games quite a bit. The idea of being able to play something without being tied to a television screen or computer monitor is, to me, extremely appealing. Because of this, I bought a PlayStation Vita when it was released. At first it seemed like a really good idea. The hardware itself was (and, actually, still is) lovely and, in the halcyon days of February, 2012 it looked like developers would flock to Sony’s portable due to the Nintendo 3DS’ floundering sales. Now, the situation is quite a bit different. The 3DS continues to amass a library of interesting games while the Vita is suffering from an extremely shallow pool of worthwhile exclusive titles. The launch of the PlayStation 4 doesn’t look like it’s going to help reverse this trend, either, Sony appearing intent on repositioning the handheld as a PS4 second-screen rather than the “portable console” it originally pitched to buyers. This, as exemplified by Marvelous AQL/SCE Japan Studio’s deeply flawed yet fascinating Soul Sacrifice, seems like a bit of a shame. Soul Sacrifice was supposed to be the game that saved the Vita, which is ridiculous in a lot of ways, but not in how its design neatly lines up with Sony’s attempt to make its portable into a handheld console. Games like the excellent Tearaway, Gravity Rush, and Persona 4: The Golden have all made fairly strong arguments in favour of the Vita’s hardware, but, don’t quite deliver on the system’s original mission statement. Soul Sacrifice, on the other hand, does. It is console-sized in ambition yet designed with the limitations of portable play in mind. The game revolves around a player character working through the chapters of a book. This book tells the story of an evil sorcerer currently holding the protagonist hostage. “Reading” a chapter involves playing a quick mission, gaining some abilities, and advancing the (relatively interesting) storyline. All of this forms a pretty good hook for any videogame, and makes a portable title easy to digest without being overly simplistic. The missions can be completed quickly, but they also advance the player’s character enough to make even five minutes feel like a worthwhile time investment. Yet, for all its compartmentalization, Soul Sacrifice‘s mechanical depth and impressive world building makes it feel grand in scope. It is, in short, a game that makes good on the Vita’s promise to provide players with the same kind of experience they would have on a console without having to be sitting on a couch. 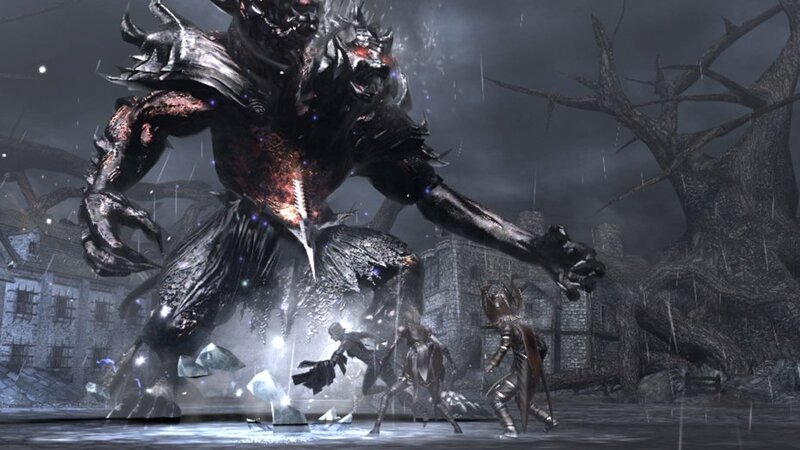 Soul Sacrifice suffers from extreme repetition that makes its initially interesting enemies, combat system, and level design become more of a grind than necessary. But it isn’t where the game falls apart that warrants attention; it’s where it succeeds as a template for Vita games. Soul Sacrifice is, more than anything else, an excellent proof of concept for the machine. It takes lessons from massively popular handheld games like Monster Hunter and expands on them with prettier visuals and a more engaging narrative. The Vita’s hardware allows console features like dual analog stick camera movement and weapon aiming to feel natural. Soul Sacrifice makes Sony’s original vision of “big” games being shrunk down for accessible, portable play to seem like a very good one. 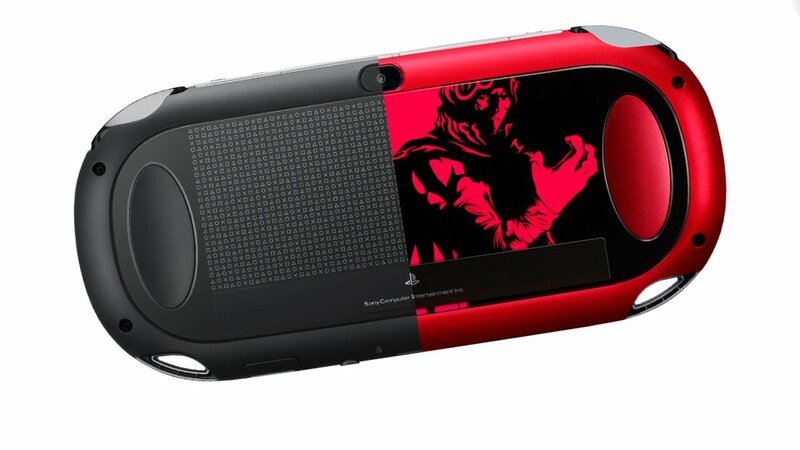 It’s too bad, then, that the Vita isn’t likely to play host to games that build on Soul Sacrifice‘s foundation. Refining the ideas presented by the title could lead to some of the best handheld experiences to date. Unfortunately, even Sony itself seems content with letting the Vita turn into a PlayStation 4 accessory rather than a worthwhile platform in its own right. As evidenced by its barren upcoming release schedule, the system seems destined to become nothing more than a neat little curiosity — a pretty cool thing to use in tandem with a PlayStation console instead of a device with excellent games designed for exclusive use. Soul Sacrifice offers a template for how these type of games could have been made. Though not a great title in its own right, Marvelous AQL/SCE Japan Studio have given everyone a look at the kind of potential the Vita offers. It’s just unfortunate that we’re not likely to ever see the system’s promise realized.